Other reviews solutions make a big song and dance about numbers - every kind of number except the one that counts: more business. Having lots of reviews is great, having stars in search is great, having lots of reviews on a site that doesn't show up as well as Google, maybe not so great. But, at the beginning and the end of the day there's only one number that matters: cash. The amount of cash that flows towards your business. And that is what we expect to be judged on. 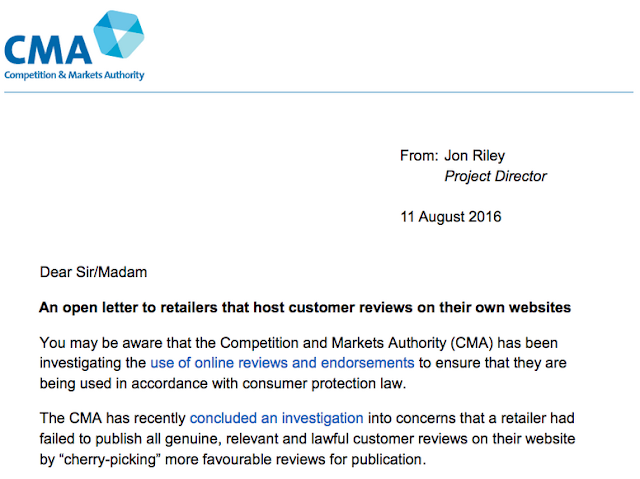 Obeying the law is straightforward: you need to be enabling all your customers to write a review whenever they want. Simple, no? You would think so, but you might be surprised just how many solutions don't comply - and what do the words 'don't comply' mean? It's straightforward: if your business 'doesn't comply' it is breaking the law. 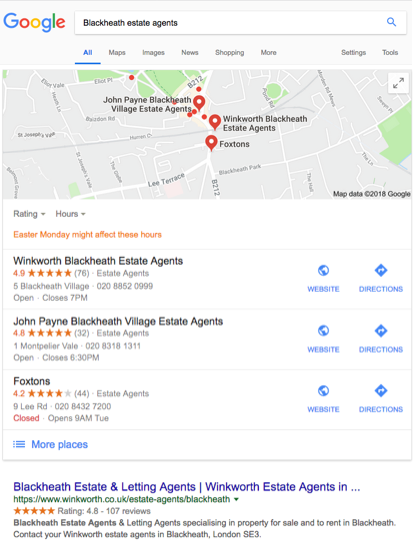 How do you think this search feels when you work for Winkworth in Blackheath - or, just as importantly, if you work for a competitor? As any sales director will confirm, staff morale is everything. If staff feel valued then sales performance is enhanced, it's as simple as that. And, with record high rates of employment in the UK today, how powerful a recruiter are great reviews? "Try us and see for your business"
*they joined, by the way. How about joining - NOW?